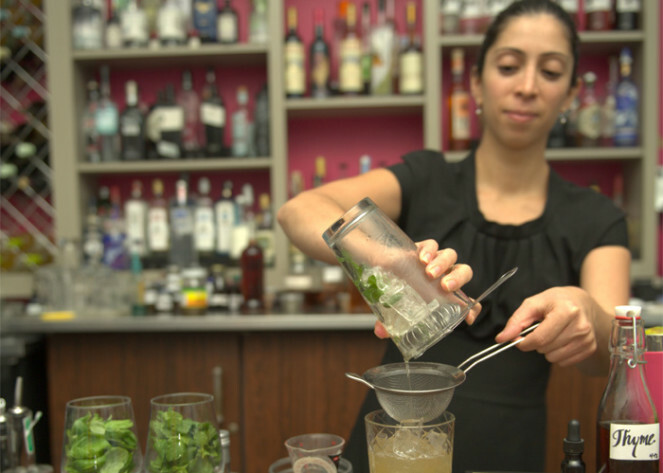 Events Archives - Aroma Academy U.S.
Every year, Natasha “The Gin Girl” Bahrami hosts St. Louis Gin Fest, an event where the participants’ joy is tinged with juniper. This year, Aroma Academy US will lead a Gin Fest seminar on the aromas of gin. If there’s a spirit with a broader stylistic range than gin, we’d like to smell it. There are literally hundreds of new gins hitting the market, most produced by craft distilleries driven to be different. The creativity is as inspiring as the aromas are surprising. We’re going to cram as much into our allotted time as possible, but count on this: we’ll take a deep dive into Citadelle, a French gin that traces its roots back to the 18th Century. We’ll be in Natasha’s Gin Room in St. Louis May 21 at three o’clock. We’ll be armed with 24 distinct aromas from gin. We’ll take a deep dive into Citadelle, a French gin produced by one the leading distillers of fine Cognac. If you’re in the neighborhood, tickets to Gin Fest can be had here. If you’re not, you can buy one of our home study kits here. As part of its commitment to advancing the careers of its members, the U.S. Bartender’s Guild Indianapolis chapter is hosting Aroma Academy’s full-day training in whiskey aromatics. Aroma Academy has trained thousands of mixologists, servers, retailers, and distributors around the world in the aromatics of fine spirits and wine. For the first time, this training is available in Indiana. Kim Lahiri, Aroma Academy’s head of training in Europe, will guide the class, which is limited to 40 people. Participants will learn how to identify and articulate the aromas that combine into the nose of fine Bourbon, Scotch, and Irish whiskeys. Those aromas make up 95% of what is perceived as flavor. No matter how many tastings you’ve attended, until you’ve been trained to identify the aromas that combine into the nose of fine spirits, you’ll never fully understand what’s in the glass. We’ll start the day building understanding of how aromatics works: how humans perceive smell; how differences in production techniques, environment, and tradition influence the spirit’s nose; and how an individual’s subjective olfactory experience can be translated into a common language understandable to all. When the class is done, attendees will have a much deeper understanding of how a whiskey (or whisky) will be perceived both on its own and in the context of a cocktail. The USBG and its sponsors are deeply discounting the training for members. Members of USBG-Indianapolis can reserve space here. Remember, seating is very limited, so sign up now. 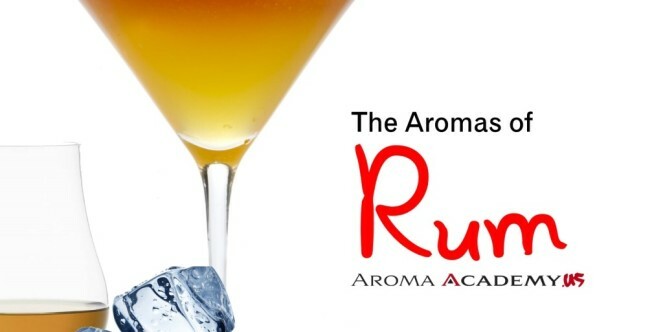 On February 24, Aroma Academy U.S. brings a new kind of whiskey training to the United States. You can go to as many tastings as you like, but until you’re trained in the aromatics of fine whiskey, you’re never going to really understand what’s in your glass. Aroma Academy has trained thousands of mixologists, servers, retailers, and distributors around the world in the aromatics of fine spirits and wine. For the first time, this training is available in the home of Bourbon, one of the world’s great whiskeys. Kim Lahiri, Aroma Academy’s head of training in Europe, will guide the class, which is limited to 40 people. Participants will learn how to identify and articulate the aromas that combine into the noses of fine Bourbon, Scotch, and Irish whiskeys. Those aromas make up 95% of what is perceived as flavor. We’ll start the day building understanding of how aromatics works: how humans perceive smell; how differences in production techniques, environment, and tradition influence the spirit’s nose; and how an individual’s subjective olfactory experience can be translated into a vocabulary understandable to all. When the full-day class is done, attendees will have a much deeper understanding of how a whiskey (or whisky) will be perceived both on its own and in the context of a cocktail. And, as a side benefit, they’ll have their palates good and ready for the Bourbon Classic that weekend. Chicago gets first crack at Aroma Academy training that has enhanced the careers of thousands of drinks professionals in Europe and the Far East. This training has been offered nowhere else in North America. We’re doing a special, one-day overview of the world’s great whiskeys led by Kim Lahiri, the head of Aroma Academy’s training in the United Kingdom. You’ll learn to identify and articulate the aromas that combine into the nose of fine Bourbon, Scotch, and Irish whiskeys. No matter how many tastings you’ve attended, until you’ve been trained to identify the aromas that combine into the nose of fine spirits, you’ll never fully understand what’s in the glass. Those aromas make up 95% of what is perceived as flavor. We’ll start the day building your understanding of how aromatics works: how humans perceive smell; how differences in production techniques, environment, and tradition influence the spirit’s nose; and how an individual’s subjective olfactory experience can be translated into a common language understandable to all. When you’re done, you’ll have a much deeper understanding of how a whiskey (or whisky) will be perceived both on its own and in the context of a cocktail. Join us Monday, February 22, at The Chicago Distilling Company. Seating is limited. Lunch will be served.